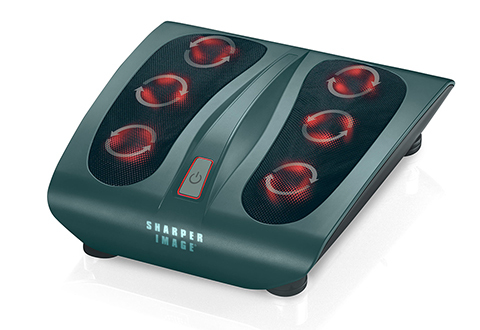 Come home to a relaxing foot massage every night with the Shiatsu Foot Massager. 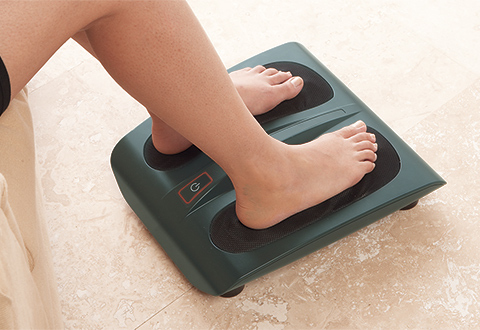 This powerful unit delivers deep kneading massage therapy to three areas of each foot. There’s no bending... just have a seat and turn it on with the touch of your toe. A second touch activates the soothing, gentle warmth to make your tired feet feel refreshed and restored in no time. Available in Gunmetal Gray. The Shiatsu Foot Massager delivers six-point shiatsu-style relief, plus soothing heat for an unbeatable foot massage — right at home.